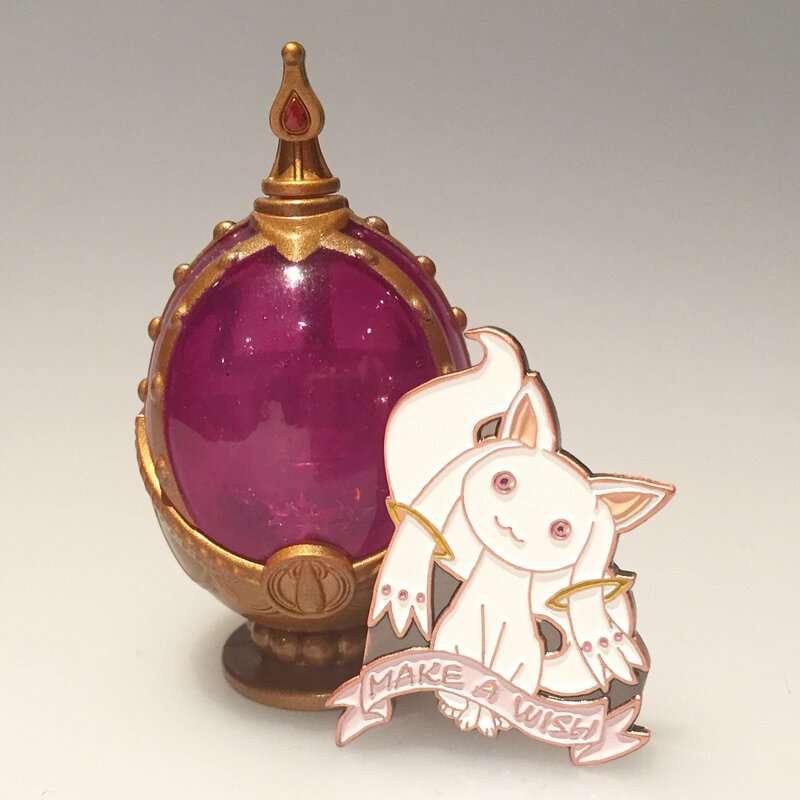 This Geek Boutique original pin measures 1.5" long and is the perfect accessory for any Magical Girl! Would you make a wish? Each pin is made of high quality enamel and comes with a rubber pin backing.